Amadeus and UNWTO are joining forces to advance the use of innovative technology in tourism in areas such as education and multi-modality. The two organisations have signed a Memorandum of Understanding (MoU) to consolidate their partnership in several areas. 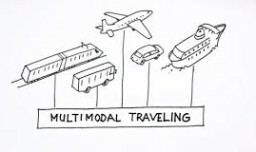 This includes the development of a UNWTO Prototype on multi-modality – the door-to-door planning and ticketing of trips involving all possible transport options – to further integrate different means of transport between destinations around the world.